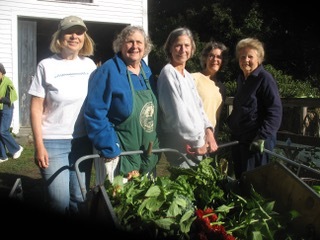 Founded in 1876, the Lexington Field & Garden Club is committed to and focused on education, service, and friendship. 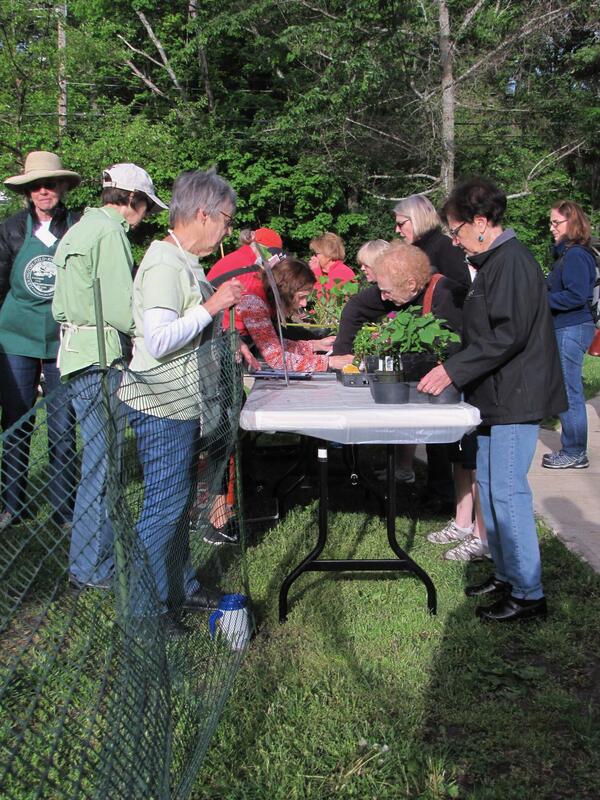 We offer many educational, social, and community improvement opportunities through lectures, workshops, field trips, and projects focused on horticulture and landscaping. Click here for details and to purchase tickets!! Celebrate spring with a self-guided tour of nine Lexington gardens, all maintained by the homeowners and reflecting their individual interests. 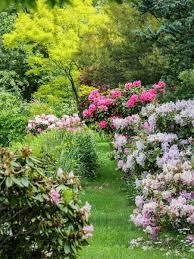 View artists working in each of the gardens, peruse Lexington's two art galleries and arts society, pick up handmade items in our boutique, and enjoy High Tea (by reservation) and gallery receptions! All tickets can be picked up on tour day (June 15) at the Depot, 13 Depot Square, Lexington, starting at 10 AM. Main Club Public Programs take place the second Wednesdays of September-November and January-May. In October we meet in the evening, and in April we have both day and evening meetings. Our meetings are open to the public, so please come and bring a friend! For a full listing, see Programs page. Annual Meeting & Lecture: Amazing Annuals. Barbara Hoey, an interior designer whose passion is plants, has worked in the horticultural and floral industry for over 20 years. As Manager of the Annuals department for Stonegate Gardens, she will show us how to use unusual annuals and tropical plants for unexpected drama in our gardens. At the Lexington Depot. Social time at 9:30 AM; lecture at 10. 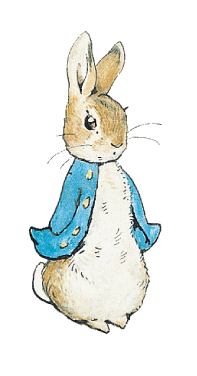 Lecture followed by LFGC Annual Member’s Luncheon with a Beatrix Potter theme. Church of Our Redeemer, 6 Meriam Street. $22.00; pre-register by April 26th below! NOTE: No confirmation will be sent. Your name will be on a list. LFGC and the Department of Public Works will host Arbor Day at the Community Center, with an annual tree-planting ceremony to create community awareness and to honor the memory of those club members who passed away during the year. 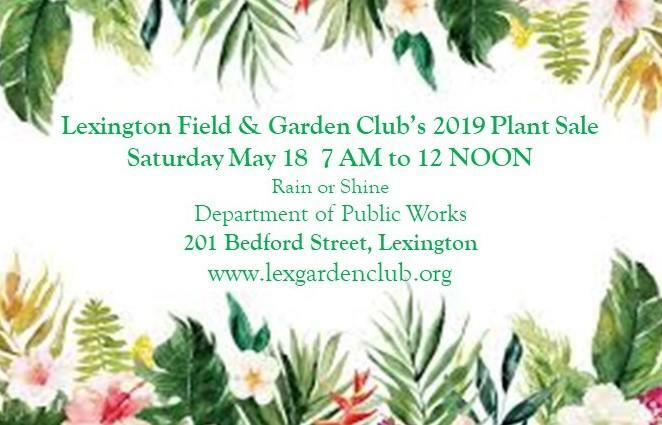 The Lexington Field and Garden Club is a 501 (c) (3) non-profit organization. LFGC makes a concerted effort to be environmentally responsible. We use email and this website (rather than paper) whenever practical to distribute Club materials and for most Club communications.